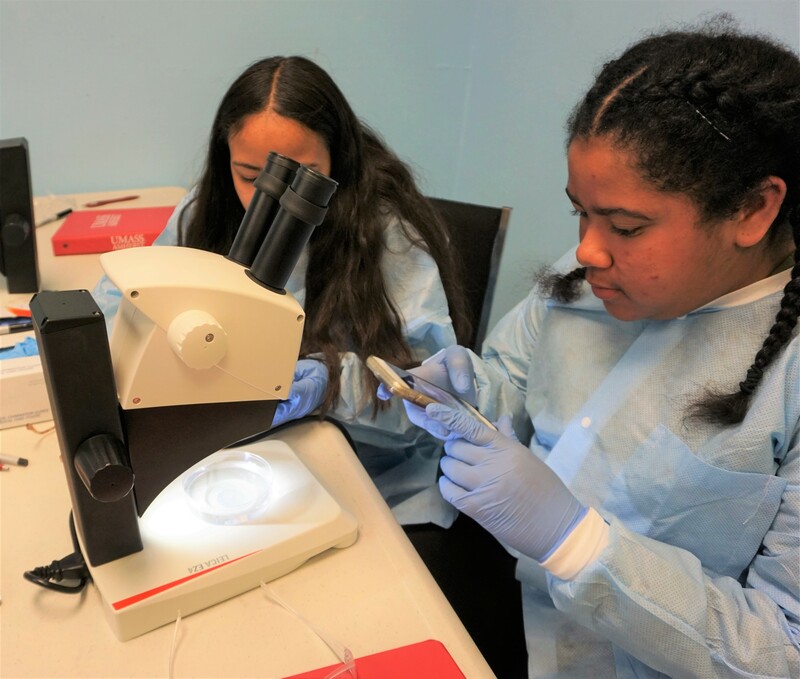 Representatives from the UMass Biochemistry Club and BMB Staff traveled to Girls Inc. of the Valley to take part in their Eureka! program and give the girls the opportunity to practice some of the techniques used in biochemistry labs. A group of nine 8th grade-level students practiced advanced skills, like restriction enzyme digestion and agarose gel electrophoresis. They were very successful in completing the experiments, and used UV flashlights and yellow filter glasses to visualize the bands in the gel. The Biochemistry Club also brought zebrafish to look at under microscopes and different common drinks to test with a pH meter during incubation periods. The hope is that workshops like this will stay with these girls and motivate them to pursue education and careers in STEM.